YouTube says it is looking into "further consequences" for Logan Paul, the user who recently posted a video showing a dead body. 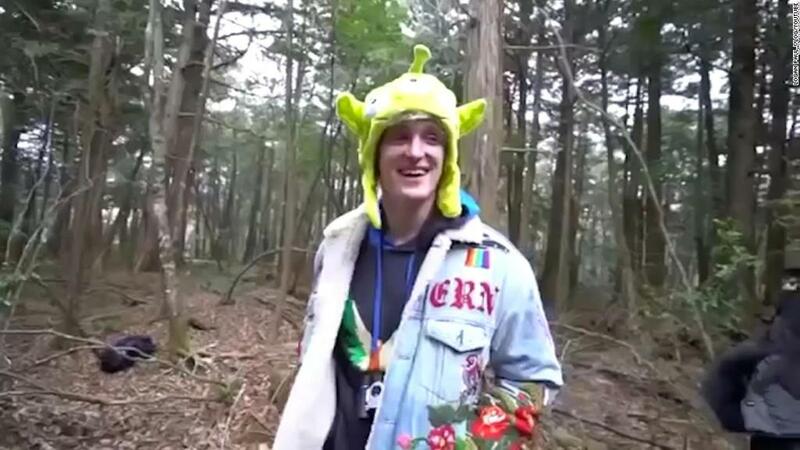 Paul was widely criticized for making the video in Japan's so-called "suicide forest." Amid widespread criticism, Paul took the video down and repeatedly apologized. YouTube also came under scrutiny for not taking action. That's why the company issued a statement on Tuesday, one week after the controversy erupted. The statement hinted at potential changes to YouTube's policies and algorithms. YouTube's upload-anything-anytime ethos is constantly being challenged by the posting of videos containing inappropriate content and even depicting potentially illegal conduct. The company has at times struggled to enforce its policies prohibiting violent and gory videos. "If a video is graphic, it can only remain on the site when supported by appropriate educational or documentary information and in some cases it will be age-gated," YouTube told CNN Tech when the Paul video first garnered attention. Within the community of prominent YouTube creators, many of whom make a living by making videos, there is curiosity and concern about what YouTube might do next. In Tuesday's statement, the company acknowledged that "many of you have been frustrated with our lack of communication recently." "You're right to be," the company said. "You deserve to know what's going on." Referencing Paul's video without naming him, YouTube said "suicide is not a joke, nor should it ever be a driving force for views." "We expect more of the creators who build their community on YouTube, as we're sure you do too," the company said. "The channel violated our community guidelines, we acted accordingly, and we are looking at further consequences." It is unclear what the company meant by saying "we acted accordingly." In fact, the offending video was taken down by Paul, not by the company. A YouTube spokeswoman did not immediately respond to request for further comment. Paul has not posted any new videos to his YouTube channel since publishing a "so sorry" video last week.